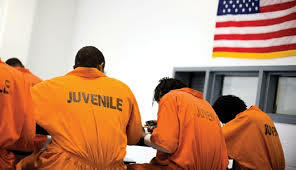 Juvenile Crime research papers illustrate that the juvenile justice system in the United States is deeply flawed. Research papers on juvenile crime will be able to illustrate that the juvenile justice system in the United States is deeply flawed. There are several avenues you can take to explore the problem of juvenile crime in your research paper. You may want to focus on comparing the past to the present systems. Your paper could be statistically based and include a comparison of facts on juvenile crime. Whichever direction you take, be sure to include proposals for future directions for addressing the problem of juvenile crime. If doing your research paper from a historical perspective, note that in 1899, a separate system of justice was established to handle the differences between juvenile criminals and adult criminals. The juvenile crime system was originally orientated towards rehabilitation but the past several decades have seen a distinct change in the juvenile crime system to a more punitive and draconian juvenile justice policy. Young persons involved with crime tried as adults, convicted as adults and sentenced as adults more and more frequently. In this manor, there is little rehabilitation and inadequate care for the mental health of juveniles that are not given the same benefits as other offenders in their age group. The result of this trend is that the recidivism rate for juvenile crime has been higher than ever. Your research paper should be ever cognizant of the fact that juveniles are not as fully mentally developed as adults and thus their crimes are spawned out of a youth’s mentality. In fact, recent empirical data supports the notion that the prefrontal cortex of humans is not fully developed until the late 20s. Court cases have even set president the juveniles have a diminished culpability due to their age and therefore, juvenile crime should not be treated the same as crimes adults commit. Juveniles with a criminal history do need to be treated differently than adults. The facilities and the programs for juveniles need to address their educational needs, juvenile rehabilitation possibilities and the need for mental health counseling. Juvenile justice facilities are inherently orientated towards skill acquisition and education and when a juvenile commits a crime, these facilities are where he/she belongs. One of the problems in juvenile justice policy is a lack of funding. Some juvenile crimes are labeled as adult crimes simply because juvenile facilities are overcrowded. Prison overcrowding is a huge problem and can be an entire new topic for a research paper outside of looking at juvenile crime. Be sure not to write too much in your research paper about overcrowding or the prison system because your focus needs to be narrow due to the broad range of subtopics related to juvenile crime. Plea Bargaining for Juvenile Delinquents Research Papers look at what plea bargaining has to offer for juveniles in trouble. Adult and Juvenile Prison Systems in the U.S. research paper examine the criminal systems problems, bad press, and lawsuits. Criminal Youth Justice System was established because it was realized that children had different needs than adult criminals and committed crimes for different reasons. Juveniles Tried as Adults Research Papers question the ineffectively of putting youth in adult prison. Recidivism of Juvenile Offenders research papers present a difficult social dilemma amongst juvenile offenders. Juvenile Crime more Prevalent Research Papers discuss an order placed on a project that provides a detailed example of how paper should be put together. Juvenile Delinquency Research Papers discuss the factors that help assist this type of behavior, and also look at the nature versus nurture aspect. Juveniles and the Death Penalty Research Papers examine reasons why the death penalty should not be used on youth. Order a research paper on juveniles and the death penalty from Paper Masters. Paper Masters writes custom research papers on Juvenile Crime and illustrate that the juvenile justice system in the United States is deeply flawed.